Your private wireless router is home sweet home for all of your devices. We lock our doors, install alarms, and even put bars on our windows to protect our devices, so why do we leave our home Wi-Fi networks so insecure? Read on to see how to secure your Wi-Fi connection and enhance your Wi-Fi protection. Piggybacking: On the lower end of the threat spectrum is piggybacking, which is when users connect to your unsecured Wi-Fi and use it as their own. In most cases, this results in reduced bandwidth for you as your connection is shared with one or more other people. Depending on your service plan, this may also lead to higher costs for you. In rare cases, someone using your router for illegal activities can get you in trouble, as the authorities may identify you as the user they’re looking for. Prevent Wi-Fi-based attacks: Hackers seek out unsecured Wi-Fi networks because they’re great attack vectors. They can scan your traffic to learn your passwords, perform MITM attacks, and breach your devices in other ways. Secure your router: Depending on the router and the hacker, some unsecured Wi-Fi networks can be exploited to break into your router as well. This gives the hacker even more options. They can turn your router into a part of their botnet, use it for crypto-mining, or passively monitor your traffic even when they’re gone. Set up a new password for your WiFi connection. This is a basic security method that can help you prevent unauthorized users from connecting to your Wi-Fi. An open Wi-Fi network is an open invitation for others who are within range of your wireless network to connect to it. Change it even if your device comes with a factory default passwords. Any hacker targeting residential routers will have a library of factory default passwords, so keeping the original is as good as having no password at all. For tips on making a strong password, click here. Change the default settings for your network. Many routers come with factory-default passwords, SSID’s (your network name), and other details that hackers can easily find online. Change anything you can that won’t affect the actual functionality of your router. Even changing your SSID to something that won’t identify the brand of your router or who you are can make things more difficult for hackers and snoopers. Filter MAC addresses. If you’re very particular about which devices you want to connect to your network, you can improve your wireless network’s security further by filtering the MAC addresses of the devices you want to connect (to learn more about MAC addresses, click here). This makes it difficult for a device whose MAC address has not been added to the network to connect to it. Each device or OS will have a different way of finding its MAC address, but the instructions should be easy to find online. Update your router regularly. When router security vulnerabilities are discovered, manufacturers issue patches to fix them as soon as possible. When this happens, the race is on for hackers to find routers that haven’t been patched and exploit them (now that the vulnerability has been described in detail). Failing to update your router makes you a prime target. Just visit your router manufacturer’s website to look for any updates to your model. Connect your router to NordVPN. This step will actually secure devices AFTER they connect to your Wi-Fi, not in the local area while they connect, so it’s not like the other steps on this list. 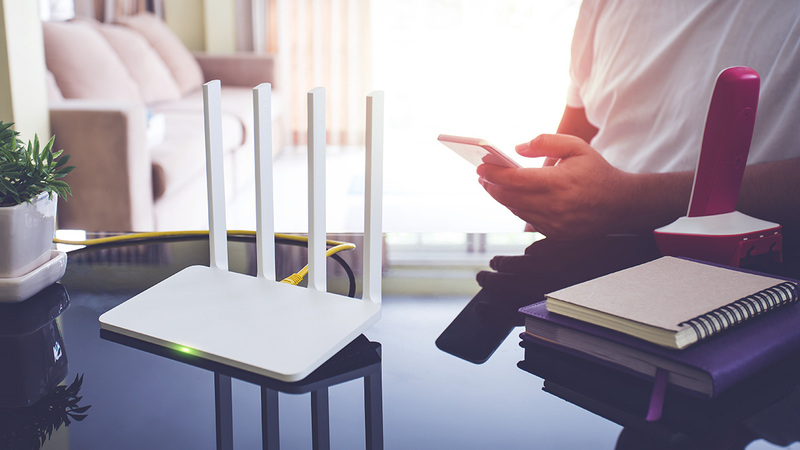 Enabling NordVPN on your router can have trade-offs, but it will make every device that connects to your Wi-Fi more secure. Click here to find out how to do it.